Three emerging communities from the partitioned Rancho Santiago de Santa Ana formed the improbable start for a city that would eventually proclaim itself the вЂњCity of the Arts.вЂќ These farming communitiesвЂ”Fairview, Paularino, and HarperвЂ”attracted families and businesspeople. Community leaders then took pragmatic steps to meet local needs such as schools, churches, and a water supply. HarperвЂ™s first land developer appealed to folks of modest means by advertising, вЂњYou! Five Acres.вЂќ By 1920, Harper needed a broader identity and a local businessman proposed a naming contest, offering a $25 prize. 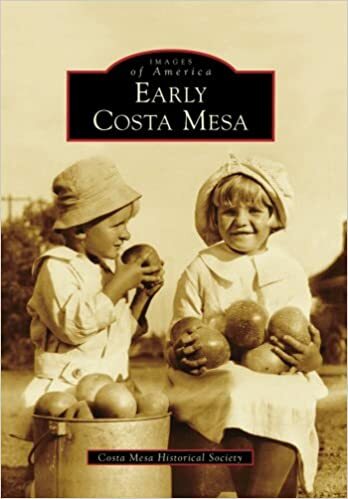 вЂњCosta Mesa,вЂќ recognizing the areaвЂ™s heritage and geography, reaped the reward. Eight years later, voters handily defeated the City of Santa AnaвЂ™s annexation attempt by a margin of five to one. The Great Depression, the 1933 Long Beach earthquake, and the 1938 Santa Ana River flood then besieged the fledgling community. Undaunted, Costa Mesa continued to grow. By 1939, the stage had been set for the postwar miracle that would become the modern city of Costa Mesa.